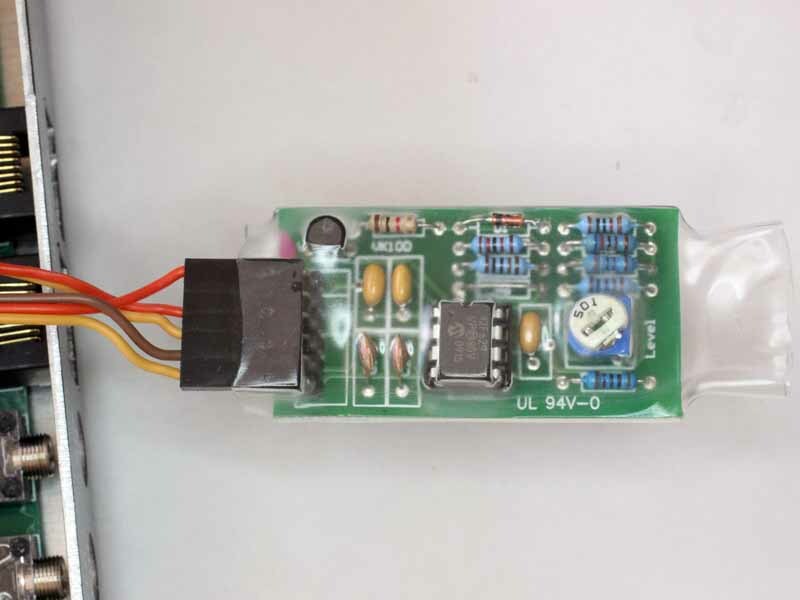 The module was built, tested and adjusted for audio output level and encapsulated in clear heat shrink. The cable was made from parts from ready made 3 way RC servo jumpers with the wires removed and inserted into more suited back shells. 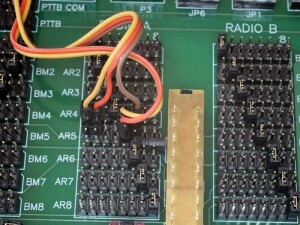 Above are the connections to the MFJ-1263 to suit an Icom IC-7410. 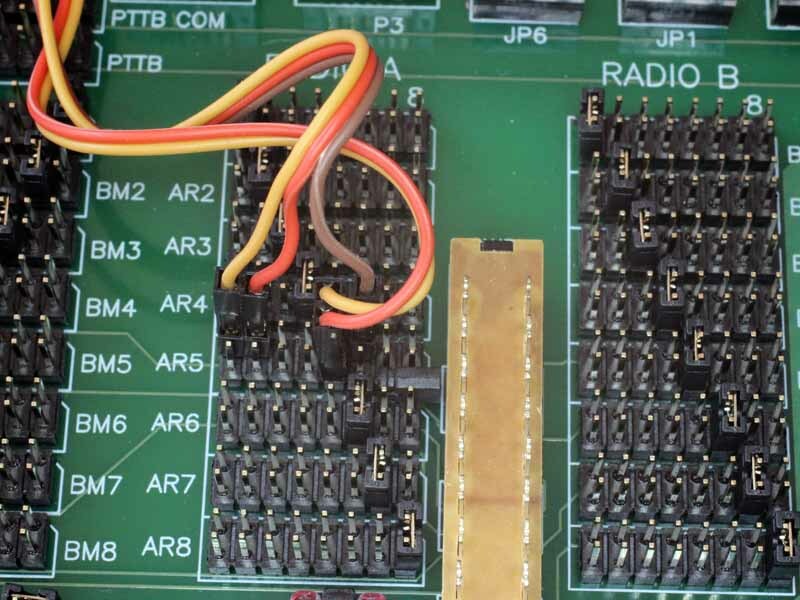 In this case, PTT is on pin 5 of the IC-7410 mic socket, ao AR5 was used to connect the RB module because it contains the PTT cross connect jumper (which you remove). RB PTT_IN and PTT_OUT connect to the lower and upper ‘5’ pins of AR5, and Audio_out, +DC, and GND on pins 1,2,6 upper pins. 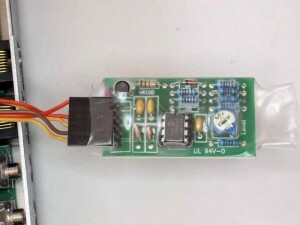 The use of 2 way connector for PTT_IN and PTT_OUT, and 1 way connectors for the others makes for flexibility to re-patch it to suit other radios. It is VERY important to get these connections correct, pay attention to the sense of PTT_IN and PTT_OUT. Adjust the module as described in the documentation and job is done. I have a footswitch plugged into the PTT jack in the rear of the MFJ-1263, and have configured the Roger Beep Tap’nYap for 10min timeout so a tap of the footswitch locks the PTT on for a ‘yap’ and it can be released with another tap… or will timeout on a very long over. Fitting to the MFJ1260 and MFJ-1261 would be quite similar.